A product that does what it says! The BLACKFIRE Bug & Tar Eliminator Sponge safely removes stubborn bug splatter and difficult-to-remove tar buildup without scratching or damaging your paint. Constructed of specially designed open-celled foam, the BLACKFIRE Bug & Tar Eliminator Sponge acts as a squeegee to lift residue off your paint. The ingenious foam design will not scratch paint, chrome or other exterior surfaces. The BLACKFIRE Bug & Tar Eliminator Sponge is a firm foam block with a dense honeycomb structure. 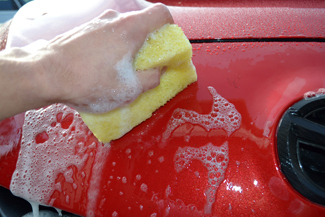 When allowed to soak in soapy water, the foam softens to avoid scratching the paint, while remaining strong enough to remove embedded bug remains and tar. In most cases the BLACKFIRE Bug & Tar Eliminator Sponge is so effective that you can use your regular car wash solution for cleaning. Bug remains are your paint's worst nightmare. These acidic little creatures explode against your vehicle on impact and immediately begin to dissolve your car wax or sealant. 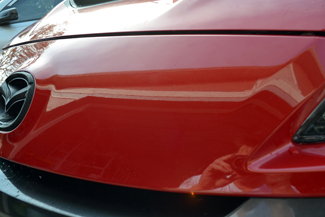 Given enough time, they will breach your protection and begin to stain, discolor or permanently eat away your paint! The BLACKFIRE Bug & Tar Eliminator Sponge is the fast and easy way to remove these acidic time bombs before damage occurs. For extremely stubborn bug or tar stains, pre-treat the area with several sprays of diluted BLACKFIRE All-In-One All Purpose Cleaner and allow to dwell for several minutes. Use the BLACKFIRE Bug & Tar Eliminator Sponge and soapy solution to gently scrub away the stubborn residues. All that's left to do is rinse clean! 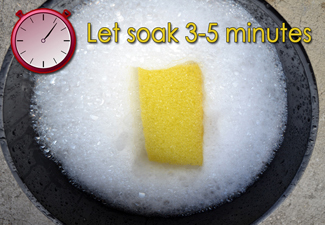 Allow the BLACKFIRE Bug & Tar Eliminator Sponge to soak for 3 to 5 minutes in soapy solution prior to use. Rinse - no more bugs or tar!